Founded in 1984 by Chairman & CEO Dr. Jimmy Tang MH JP, Prince Jewellery and Watch is well known for carrying a variety timepieces of international brand like Audemars Piguet, Piaget, Cartier, FRANCK MULLER, Vacheron Constantin, Chopard, Omega, Breguet, Jaeger-LeCoultre, Longines, Carl F. Bucherer, I.W.C., etc. Our Company insists in offering a broad range of choices, hoping to project watch lover’s ardor on delicate mechanics and superior performance of watch rather than the brand name itself. Apart from precious timepieces, Prince Jewellery and Watch is also committed to offering its clients exceptional and high-quality jewellery. The exclusive launch of the Peonia Diamond with Leo Schachter Diamonds, the world’s leading manufacturers of polished diamonds, is the perfect expression of the intent. Peonia Diamond features the patented Peonia 88 Cut, 88 intricately handcrafted facets reveal a peony flower pattern in a burst of sublime brilliance. It truly is an extraordinarily beautiful diamond, worthy of its namesake. Peonia Diamond is now exclusively available at Prince Jewellery and Watch and its subsidiaries in Hong Kong, China, Macau and Taiwan. Prince’s shops provide a one-stop-shop and spacious shopping environment for customers in search of both jewellery and timepieces. All of our sales representatives are well-trained and experienced in providing quality customer service. 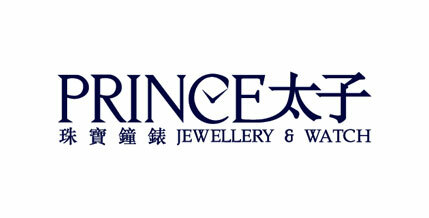 Prince’s relentless pursuit of customer satisfaction has been recognised by many authoritative organizations, which has accredited its leadership in watch and jewellery retail industry.